I hope you all enjoyed the January block because it is already February. Meet the February Block. 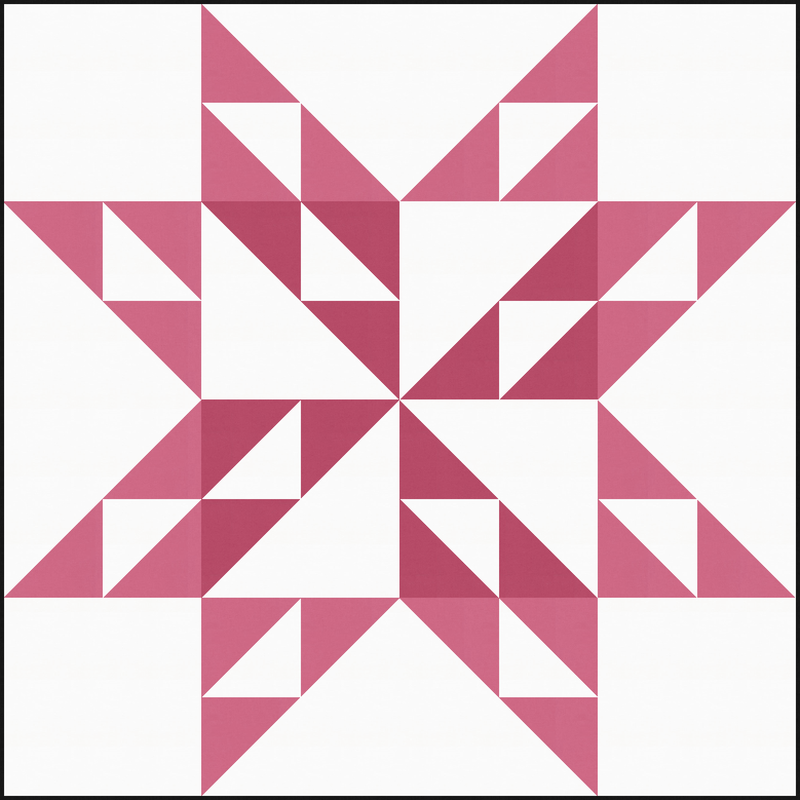 Just like last month's block, there are instructions for 24" and 36" versions and a couple of examples on how to use the blocks to make your own Giant Block quilt. The instructions for making this block can be found as a free download in my shop. Piece together the quilt with the blocks on-point. If you are unfamiliar with on-point quilts, check out this great tutorial. 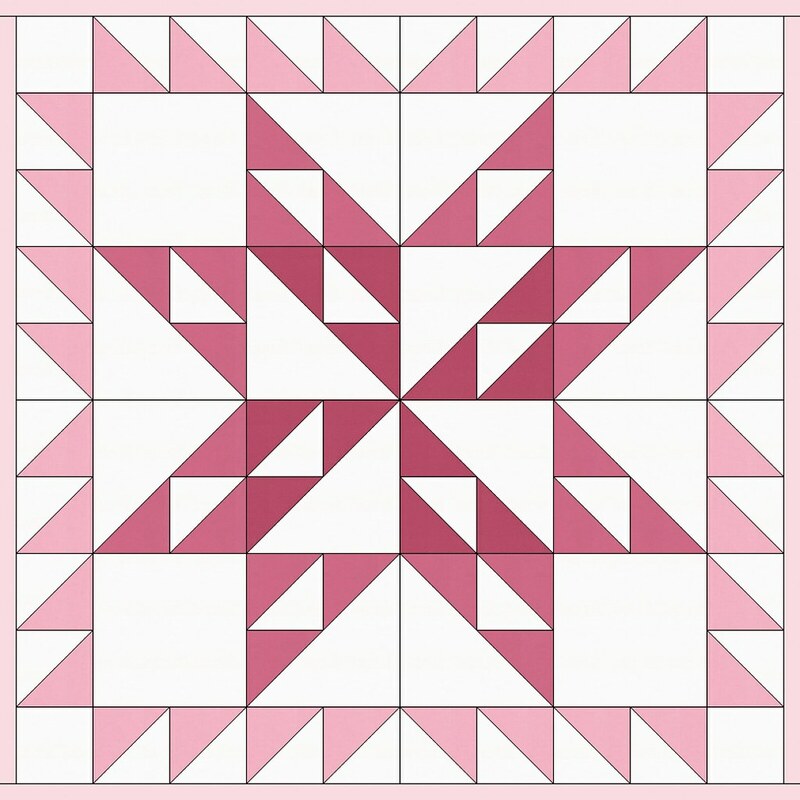 You will need to make (1) of the 36" blocks and (32) 4.5" x 4.5" HSTs. You will also need (4) 4.5" x 4.5" squares of the background fabric for the corners. After you piece together your 36" block, add a border of HSTs. Urg...i would really really love to print this or save as pdf...do you have that option? I tend to save mine for later assembly and I love these blocks. Yes, there is a link to the PDF at the end of the post! I think I'm going to mash up the on point and the HST boarder. But first I need to decide on colors! Thank you for your sweet comment. 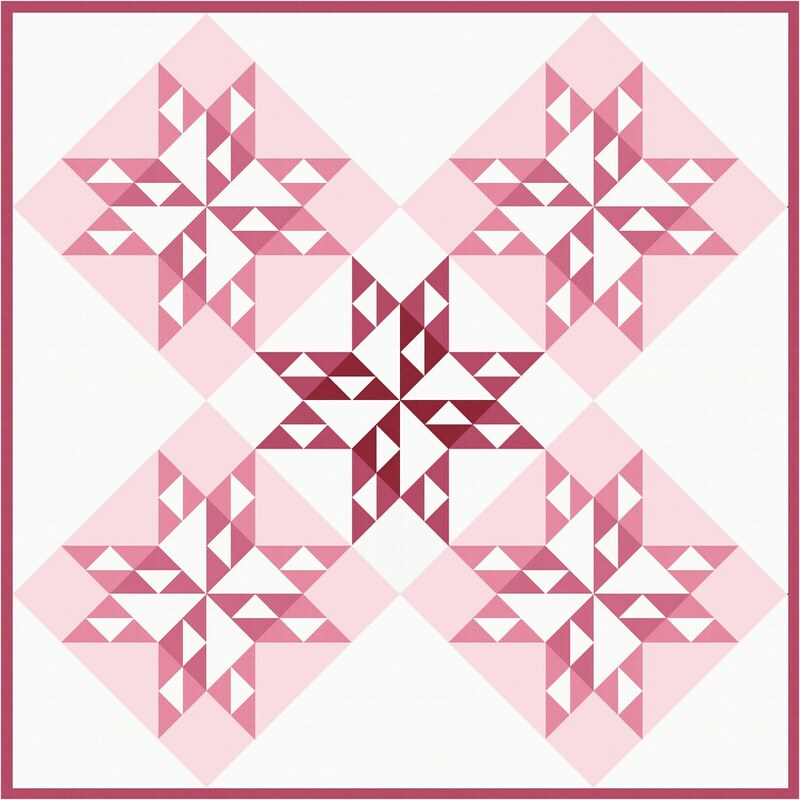 I would love for you to use this pattern for Quilts if Avalon and you are welcome to share copies with others! I love these large block patterns and want to thank you for sharing them. Thanks for this pattern...its amazing.